Lincoln Center Theater presents Christopher Durang's Chevhov-centric new play. 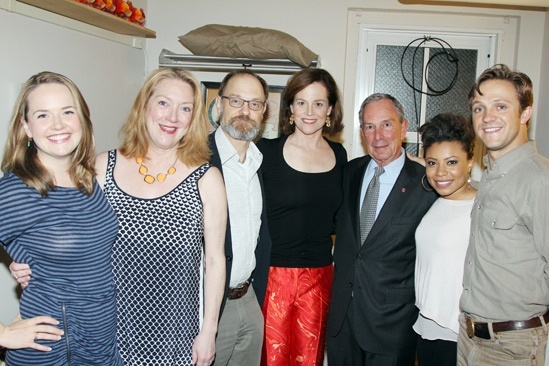 The cast of Vanya and Sonia and Masha and Spike welcomes Tony Award honoree Mayor Michael Bloomberg: From left: Liesel Allen Yeager, Kristine Nielsen, David Hyde Pierce, Sigourney Weaver, Mayor Bloomberg, Shalita Grant and understudy Creed Garnick (making his Broadway debut!). Mayor Michael Bloomberg visited Vanya and Sonia and Masha and Spike on June 18, 2013.